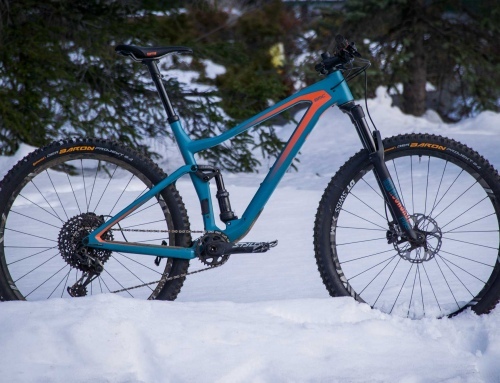 ﻿ Review: Leatt DBX All Mountain Kit. Looking to Stay Warm This Winter? 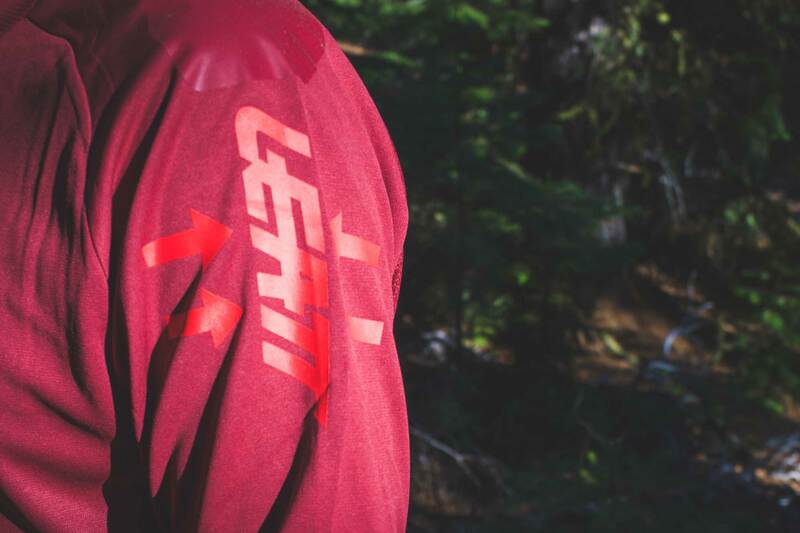 Leatt’s gear has recently become some of our favorite in the gear bag and their DBX All Mountain line is just another reason why. 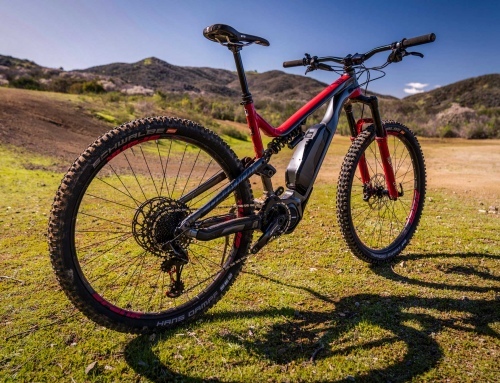 They’re hitting hard in 2019 with great graphics, colors, technical features and variety. This winter kit has been getting tons of use over the last few months with temperatures ranging from the 30s to low 50s. Our set up consists of the DBX 4.0 jacket, 5.0 jersey and 5.0 shorts. 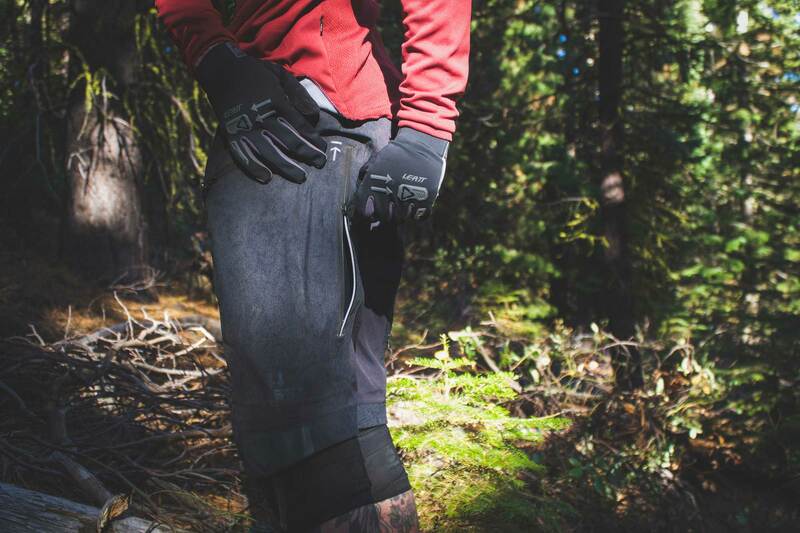 While Leatt offers an even sturdier kit for really really wet weather, these pieces form a great option for riding on chilly days where there isn’t going to be a ton of moisture. This kit balances comfort and breathability over a fully waterproof kit. 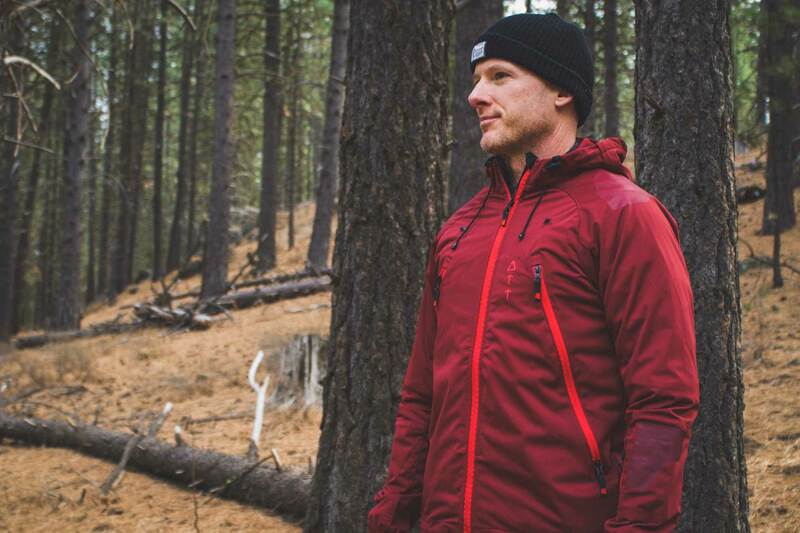 The DBX 4.0 jacket is a water resistant shell that is breathable but keeps out the wind chill on cold days. One of its key features is the magnetic hood that clips to a stick on magnet for your helmet. The design keeps wet tree branches out of your hair, and adds warmth. We really like the jacket but tore a seam on the inside of one of the pockets so smaller items now fall through. A bummer since it’s an otherwise great jacket. 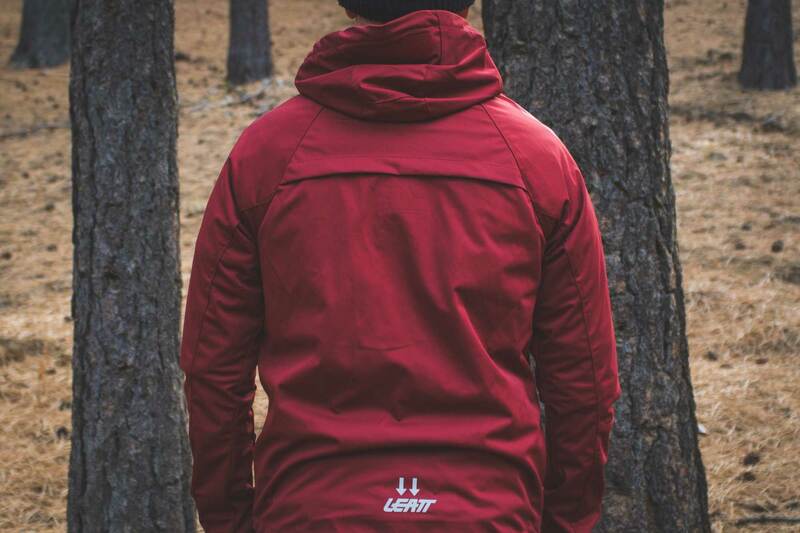 4 way stretch, water resistant WindBlock fabric is incredibly comfortable, warm and protective. 10,000 waterproof fabric stops water from getting in, but vents well from the inside out. 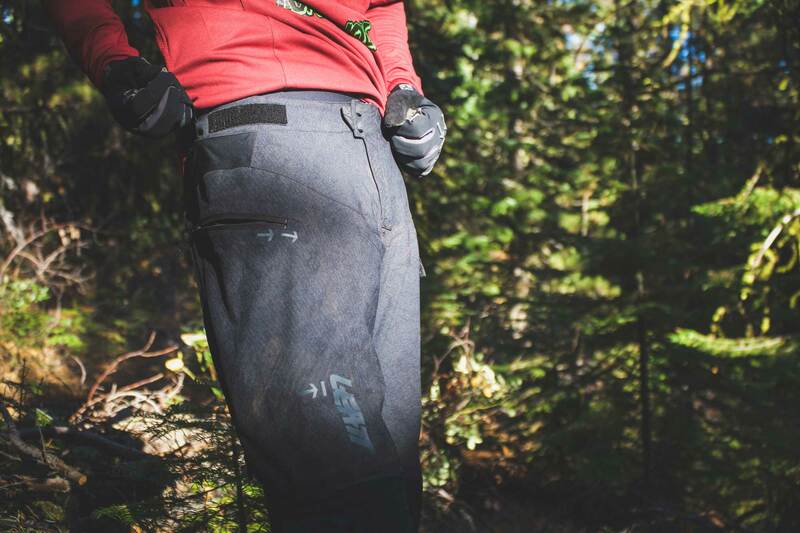 The front zippered pockets serve as storage or vents for hot climbs. A unique magnetic hood system keeps the hood from flapping or fixes the hood to your helmet. 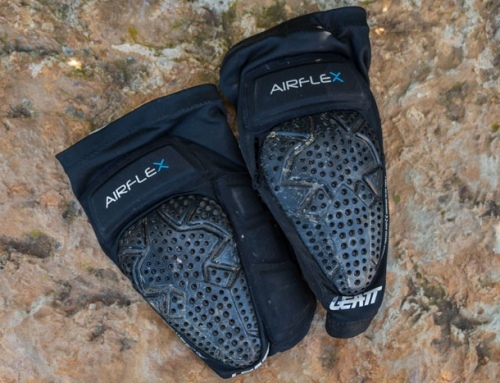 Abrasion guards on the elbows and shoulders improve durability. The left arm has a park pass pocket ready for the bike park. Stretch fit cuffs and hems keep out wind. Reflective material on the rear improves night visibility. 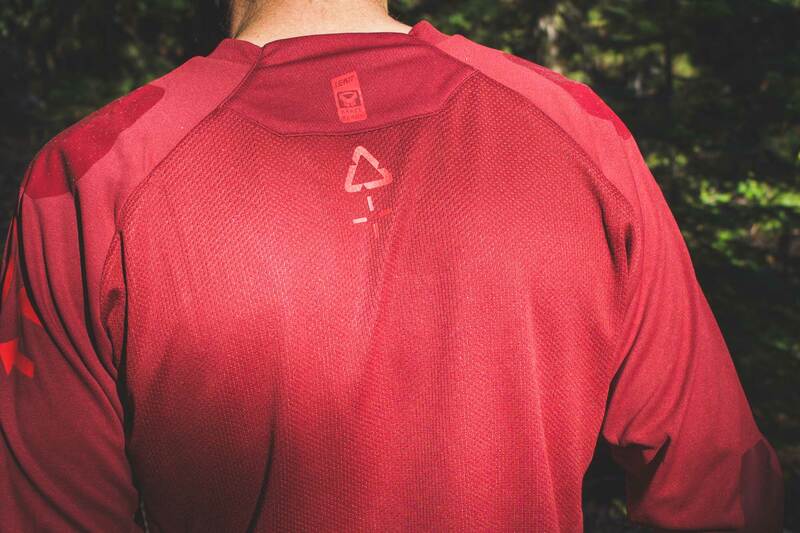 The DBX 5.0 jersey is a winter weather jersey designed to be warmer than your standard summer jersey. 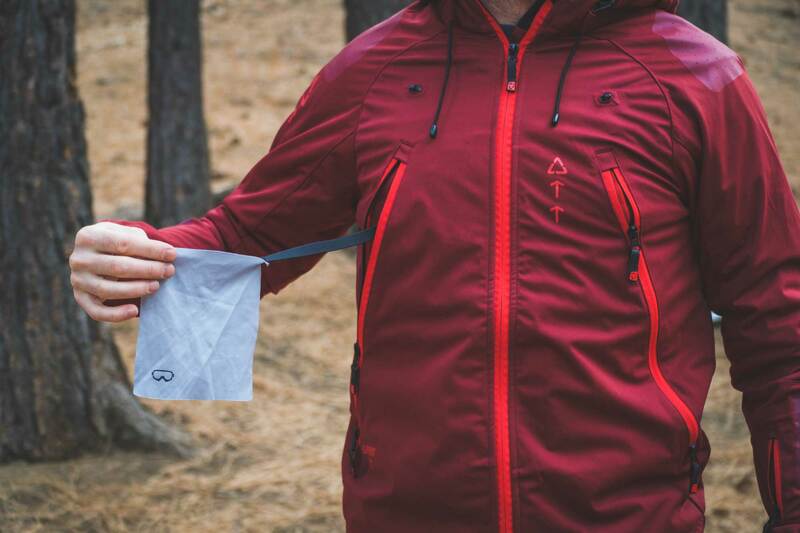 With a wind blocking chest, and thicker material, it takes the edge off the cold without stifling you on the climbs. With this jersey I can either ditch a thin flannel or a base layer and stay just as warm, and even more comfortable. 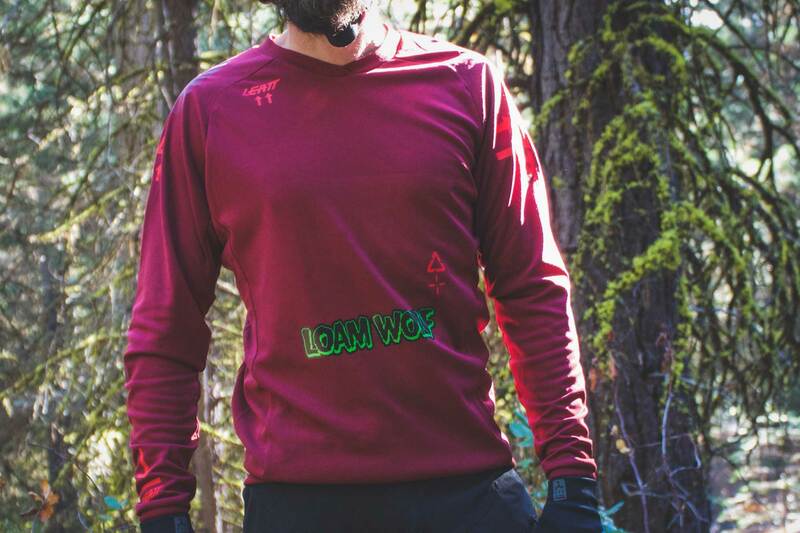 WindBlock fabric on the chest, arms and sides cuts the cold, but keeps the back breathable. 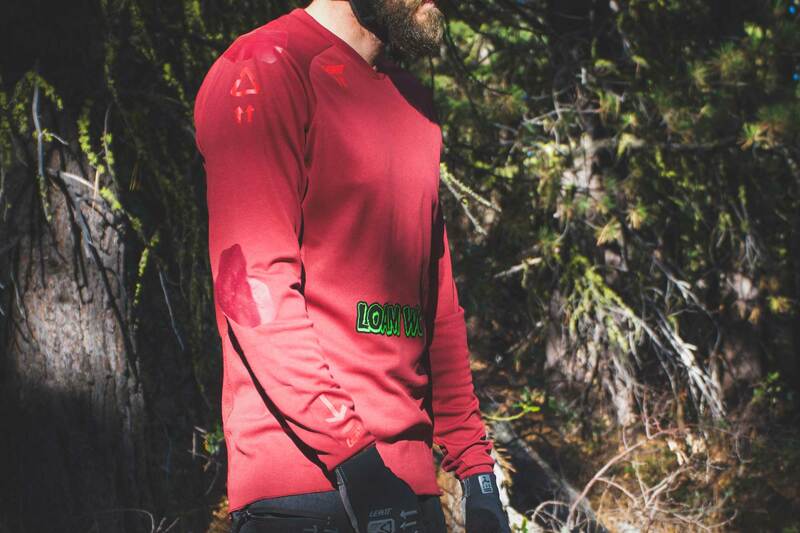 Abrasion resistant fabric on elbows and shoulders improves durability. Stretch fit fabric accommodates body armor. 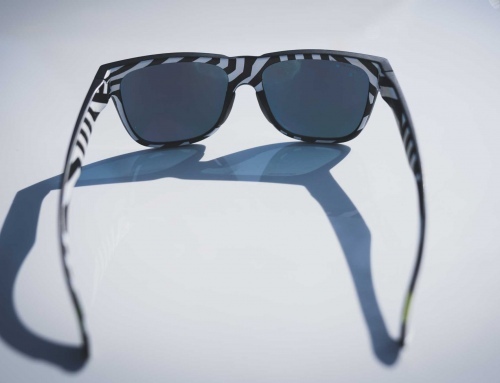 Zipped pockets safely store stuff, while a glasses wipe keeps your vision clear. 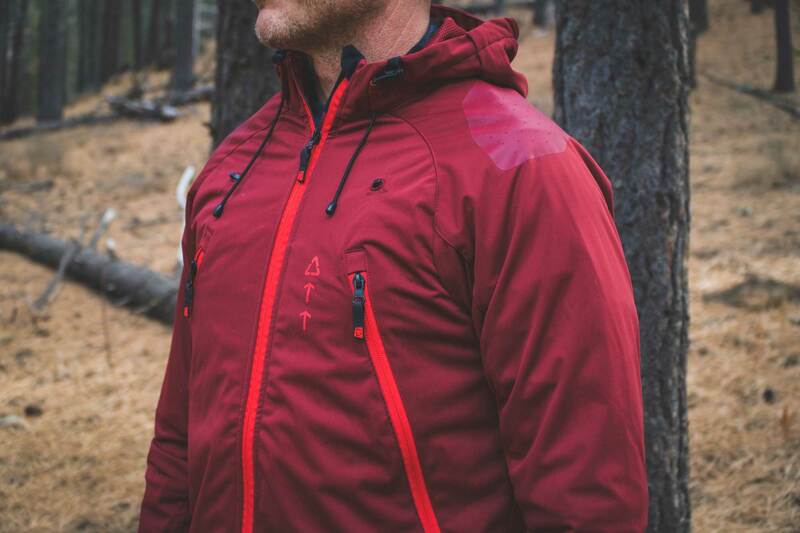 Three-layer HydraDri, all taped, 4-way stretch shell. Abrasion and stain resistant fabric with brush guard reinforcement on knees. Soft touch waist lining with back gripper. 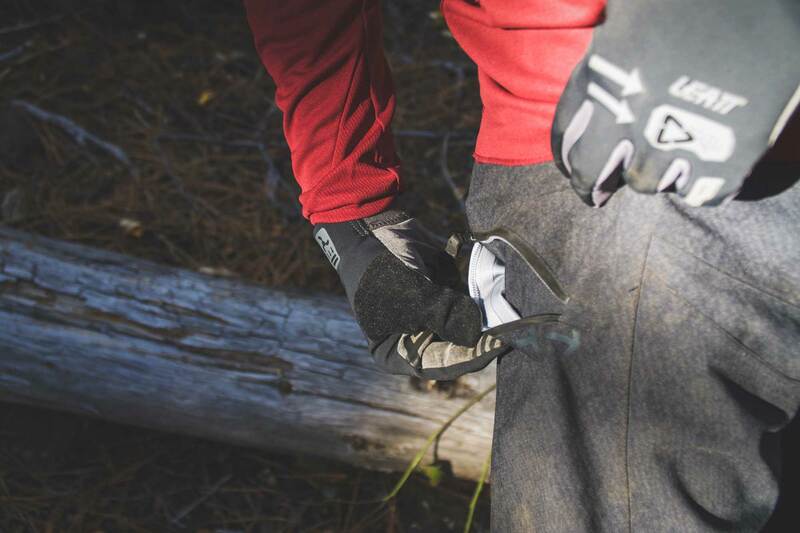 Without a doubt the DBX 5.0 All Mountain jersey has become a go-to piece this winter. It allows me to wear less layers on mild days and keeps me warmer on colder rides. 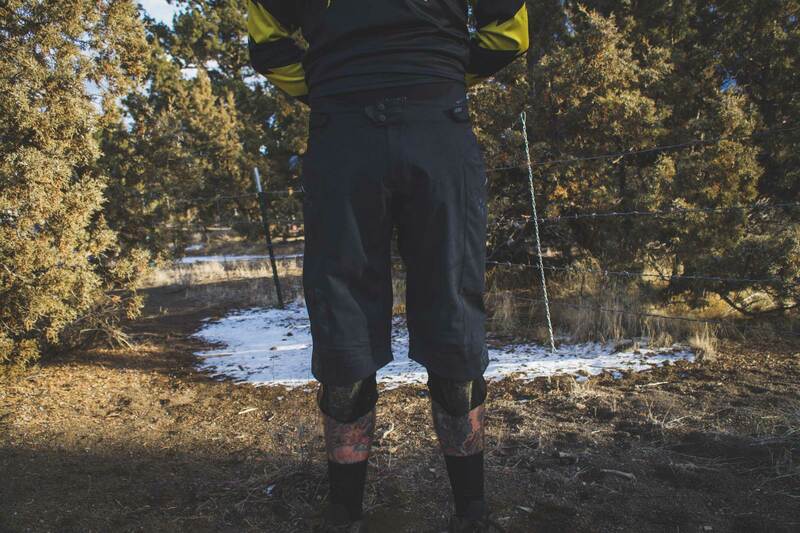 Having the shorts zip open to expose skin is a bit weird, and allows mud, water to get you a bit messier, but not sure we’d say it’s a deal breaker since I only opened them on the climbs. 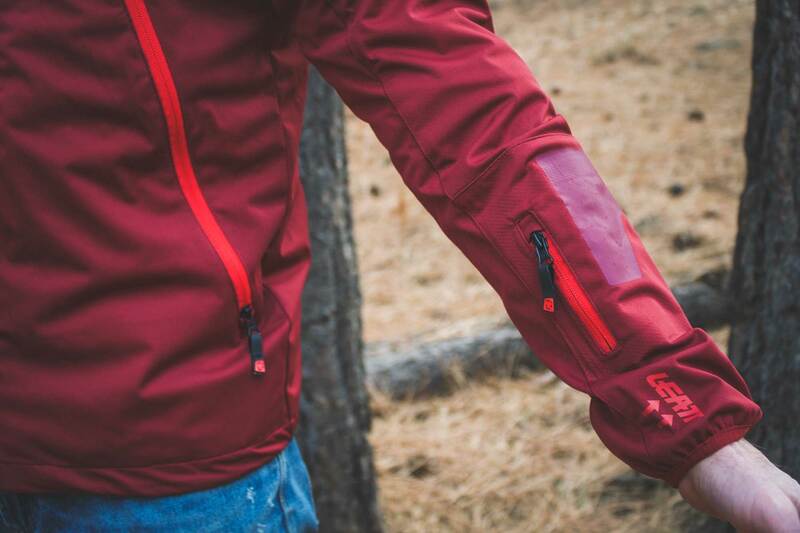 The jacket has been worn on shuttle days, pedal rides and even winter moto rips. It’s a versatile unit that is comfortable and durable on the exterior. 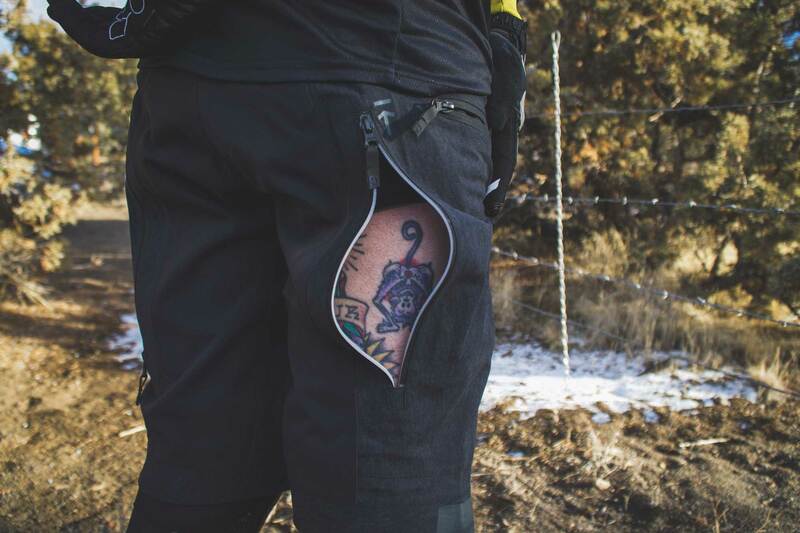 The stitching inside the pocket came apart and there’s now a hole in one pocket, making it unusable but, aside from that it’s a solid jacket and I will continue to use it this winter. It’s great to see brands coming out with heavier weight jerseys for cooler riding months, the highlight here is definitely the jersey!